Before calling a networking cabling company; it is important to know what your needs are. Consider how your employees will work. How many employees you have and which ones need to be connected to each other. The Cabling company will establish the design of the structure of the communications system; defining the type of work will take place in your office and the layout of the building taking into consideration if you plan to grow the business in the future. Computers and phones are the heart of any business nowadays. How your employees will use them is going to establish the cabling structure. Think if you need to conduct video calls or your employees will rely only on audio calls. Who needs to use the printer and how is also important. The actual type of work and how the data is sent between different users can determine the bandwidth. When you are telling your networking company what are your needs, you have to be as specific as possible, so the specialists can create the best system for your needs. After establishing your needs, you need to look for a company which can offer you maintenance services. Setting up a cabling network is not enough. When something will break down, you need assistance to make it functional again. Many cabling companies offer very competitive prices for installation of the system, but no maintenance services or very expensive ones. Comparing both the installation and maintenance costs is important in choosing the right structured cabling company. When the cabling system is being installed, you should be paying attention or receive training from the specialists. Knowing the basics about the system is going to help you a lot on the long term. Color coding the cabling system is going to come in handy when you need to check the phone cables, for example. A numbering system might also help you fix other minor issues, like checking the connection to a specific piece of hardware. These small things can go a long way, because they help you solve minor problems with the cabling system on the spot, without having to wait for the maintenance team to show up. 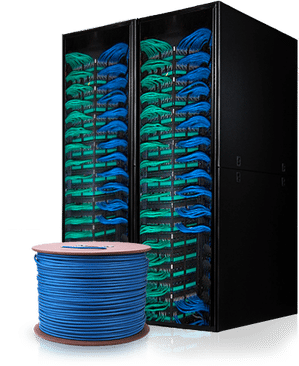 If you have an in-house IT person or team, it might be a good decision to involve them in the process of installing the cabling system, so they can do small repair and maintenance tasks. «HOW TO GET YOUR DEVELOPMENTS NBN READY SMOOTHLY?